Color and Charms make everything better. 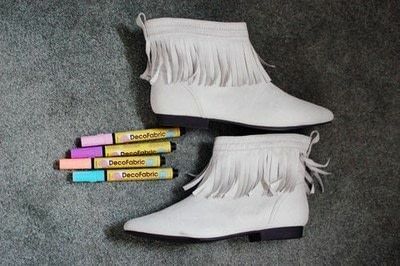 I got these white moccasins at H&M and gave them some much needed personality. Im turning into a shoe obsessed person.. where did this come from! You going to try this DIY? 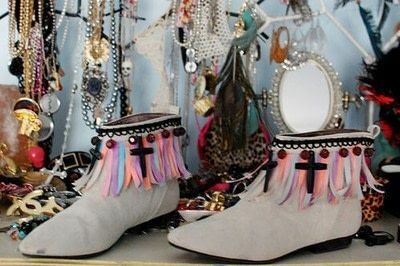 I colored all the fringe in with the fabric markers, hot glued the beaded trim around the top then attached the cross charms with plyers. Its almost too simple!